Gareth Southgate’s England face a huge challenge tonight when they host Slovakia – their biggest threat to automatic qualification to the 2018 Fifa World Cup. Southgate’s side have come under scrutiny following a below par performance against Malta on Friday night. A 4-0 victory doesn’t reflect how sloppy England were, with three goals in the final ten minutes overshadowing a frustrating night for England fans. England currently lead Group F by two points, ahead of tonight’s opponents, meaning victory at Wembley would be a huge boost to automatic qualification with just two games left. Defeat, however, would mean that Southgate and England will drop down to second – meaning that qualification might only be achieved through an anxious play off process. Tonight’s game is Southgate’s most important in his short England managerial career so far. 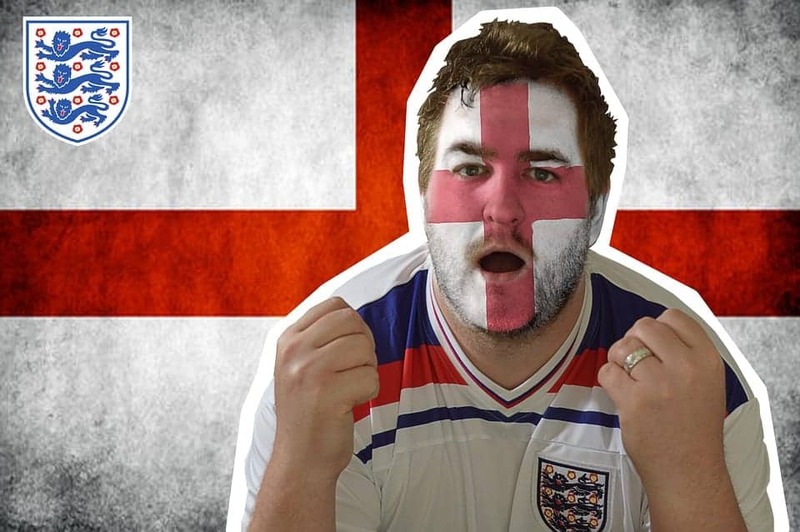 While many England fans will be confident of victory, here’s five reasons why even the most optimistic England supporter should be wary. England’s failure to turn up on the big occasion. It seems an eternity ago since England had a realistic chance of actually winning a major tournament. Ever since the Fifa World Cup in 2010, England have been a disaster at international tournaments, with the 2-1 loss to Iceland standing out as the most embarrassing. Although they do well in qualifying for these tournaments, the Three Lions have only managed to win four out of fifteen games in both Euro 2012 & 2016, and the Fifa World Cups of 2010 & 2014. This shocking stat proves just how bad England can be on the big stage. It’s not as if the players are not used to big game occasions. They are watched by millions all over the world in the Premier League, being involved in huge London/Manchester derbies, along with FA cup finals, and tough Champions League matches. The players should be able to cope when the pressure is on. England though always crumble, and with tonight being a must win in order to automatically qualify for Russia, the pressure is certainly on. England supporters will be desperately hoping they don’t crumble on the big occasion again. England’s recent form isn’t much to be confident about. Southgate surely won’t be too pleased with how his players have been performing lately. The results have been there, with England unbeaten so far in qualifying. However, if you consider some of the opposition, the score lines in some of these games, along with how poor England have been on occasions’, their form leading into tonight’s game isn’t too good. Recent home games have seen lacklustre performances against lowly Malta and Lithuania, while Friday’s poor showing against the 190th ranked team in the world has led to fans turning on the national team. Southgate’s side were even labelled as disgraceful by many after Harry Kane rescued a point for England away to Scotland back in June. Against tonight’s opponents, England’s record isn’t promising either. In the reverse fixture on this day last year, an injury time Adam Lallana goal secured a undeserved win for then Sam Allardyce’s England, while in Euro 2016, England looked lazy in a dire 0-0 draw. England’s recent performances just haven’t been good enough, Southgate is already under pressure, and the players know that if they want to avoid a nervy play-off process in November, they need to find some form tonight. Southgate doesn’t know his best XI. Over the last twelve months, a total of forty-six players have been picked in the England squad. The team chops and changes every game it seems. This cannot be good for any side. The likes of France and Germany roughly know what their best team is. Southgate though doesn’t. There is no denying that there is a lot of competition for places in the national side, but if England want to be a more competitive side, Southgate should pick his best XI and stick with it. Fielding his best side, and playing them game after game would lead to England playing more as a team, and playing off each other. The problem lies within the Premier League. Each team has a different style of play, meaning when it comes to international duty, many of the players look lost, playing dull football, not playing off each other. If you take the Spanish sides for example, they all play a similar style of football, meaning when it comes to the national set up, they’re all used to how each other play. Southgate should pick his most effective, in form XI and stick with this team over the rest of qualifying rather than making wholesale changes. Many England fans will be hoping the England side that walks out onto the Wembley pitch tonight will be a familiar looking side, that play as a team. England aren’t as good as many think. English supporters are often known as arrogant, or over confident when it comes to England’s chances at international tournaments. There is often a lot of hope and belief that England have a chance of winning, but we don’t have anything to be arrogant about. We haven’t been competitive in a major tournament since the World Cup in 2006. So why do so many fans get over confident about this England team? The Premier League may be at fault for this. The English league is the best in the world, nothing beats the excitement and the drama that comes with it. With the league being so enthralling, the expectations of the national team are very high. The players that play for England, play with amazing foreign talents week in week out, leading many to over exaggerate how good they are. The national side doesn’t have the ability to play the attacking fluid football that can be seen every week across the country. The players look world class when they play with the foreign talent on offer in their clubs. When they’re not playing with them though, they look slow and ordinary. Alan Shearer recently said that England don’t actually have any great players. Compared to players from France and Germany for example, the England players look extremely average. Many would normally expect tonight to be a comfortable win for England. Tonight definitely won’t be easy for Southgate and his side, England are not a top team anymore, so fans shouldn’t under exaggerate how tough it could be against an improved Slovakian side. Slovakia will be tough opponents. If England aren’t as good as many think they are, Slovakia might be better than many think. The mood in Slovakia about their football is extremely positive, with bigger crowds turning up for their home games than ever before. Their form will worry England too, following defeat in their first two qualifying games, they have a 100% win record – while victory at the home of English football would send them top of Group F. Under head coach Jan Kozak, the most successful coach Slovakia have had since their independence in 1993, they’ve played more as a team and are confident of victory. Napoli midfielder Marek Hamsik, who has been very vocal with his side’s chances at Wembley, will be a huge threat to England tonight, while former Man City academy players, Vladimir Weiss and Robert Mak, will also want to cause England huge problems down the wings. Southgate will know that this challenge should not be taken lightly, and will be wary of facing an improving Slovakia. Though England aren’t reaching the heights they perhaps should be, there’s no denying that there is still talent in this side. Victory tonight will more than likely send England to Russia, meaning Southgate can solely look ahead and prepare for next year’s World Cup, while also taking the heat off him and his side. Defeat though probably means England finish runners up, resulting in two more tough games in November, something the former U21 head coach will be desperate to avoid. It should be a fascinating game to take place at Wembley tonight, with kick off at 19:45.